I first met Giusy Bettoni of C.L.A.S.S. two years ago at White Milan, a fashion tradeshow attended by over 16,000 buyers. She had curated a section dedicated to promoting sustainable designers and challenging perceptions around sustainability. 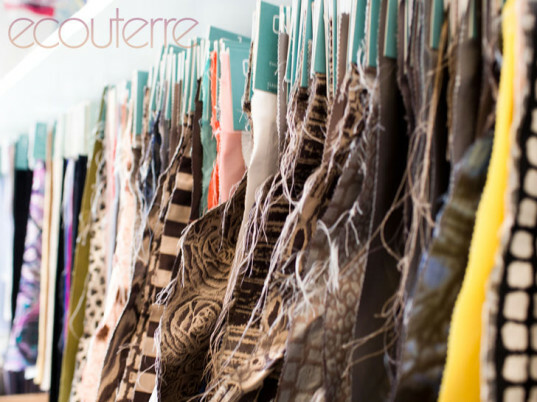 At the time I was starting to work with some high-end Los Angeles based designers and was looking for luxury fabrics that met strict sustainability criteria. As a seamstress and designer, C.L.A.S.S. has been one of my favorite sources for sustainable fabrics. I got a chance to catch up with Bettoni and her team again during Milan fashion week this September, both at their showroom and at the So Critical So Fashion event. C.L.A.S.S. 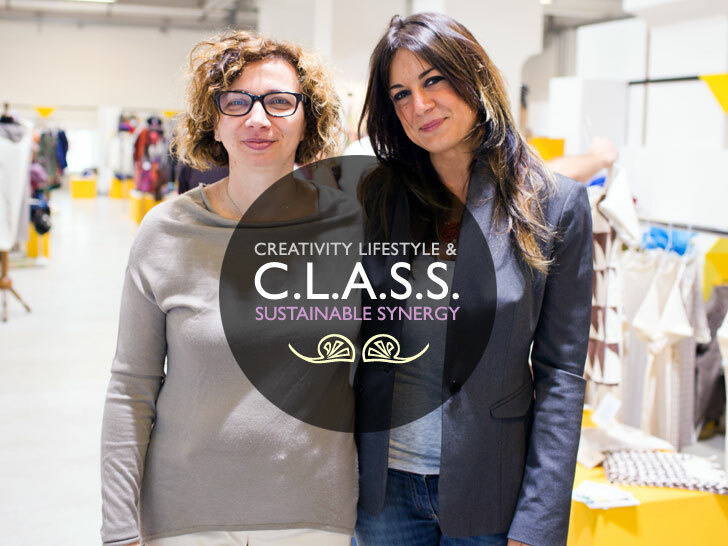 (Creativity Lifestyle and Sustainable Synergy) was founded in 2007 by Giusy Bettony. Prior to C.L.A.S.S., Bettoni worked 30 years in the textile industry doing strategic marketing for companies like The International Institute for Cotton, ICI, Dupont, and NatureWorks and establishing her own textile-marketing agency in 1993. She worked to forge collaboration across different parts of the industry, between spinners, fashion and lifestyle brands, retailers, consumers and trade press and observed a real gap, inspiring her to start C.L.A.S.S. On one side she saw firsthand the innovative, beautiful work created by technical producers and weavers, but was frustrated that no one knew about it. Second, she wanted to challenge the perceptions surrounding sustainable fashion. Today, C.L.A.S.S. offers an extensive library of eco friendly materials for designers in addition to consulting services in communication, marketing, and product development. 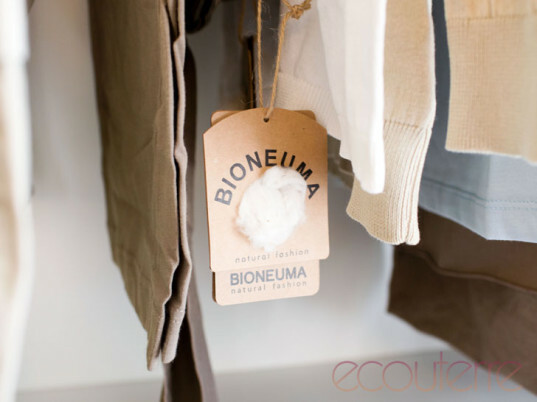 Their eco textile library contains a wide range of fabrics that break down into three categories: Naturals and Organics, Repurposed and Recycled, and Innovative Renewables. Bettoni says she looks for fabrics that “have to be design oriented, innovative, high quality, performing, responsible, and beautiful!” To meet these criteria, each fabric is technically scrutinized and environmental responsibility must be certified depending on the fiber type. For example, most of their organics come with GOTS (Global Organic Textile Standard) certification and renewable materials come with an LCA study (Life Cycle Assessment, which assess the environmental impacts along the product’s entire life cycle from cradle to grave). An example in their recycled category is Newlife™ recycled polyester, which has seen great success. One of the designers C.L.A.S.S. is working with, the Max Mara Group, recently announced their spring 2014 Weekend Line will include garments made of Newlife™ that will be available in 1000 stores across 105 countries. Not just a capsule collection, this launch, together with a communication campaign aimed to educate consumers, will provide a fashionable, innovative and responsible option for Max Mara customers. Bettoni says to keep an eye on their Innovative Renewables fabric section as they are working hard to showcase more examples in this sector. These textiles are designed to reduce dependency on oil and promote more sustainable renewable resources, including biopolymers (e.g. 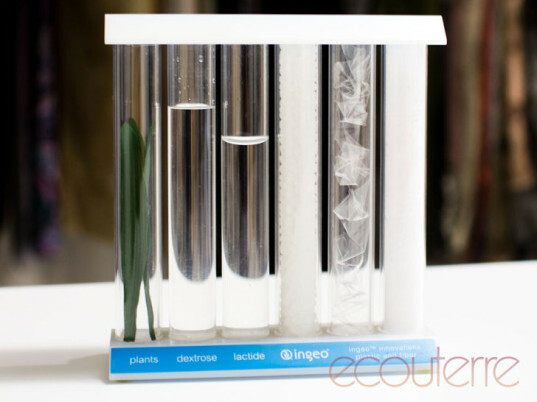 Ingeo™), paper, milk protein, soy, seaweed, regenerated cellulosic’s (e.g. Tencel®),wood pulp fibre (e.g. Lenpur™), bamboo, Modal/Micromodal and crab’s carapace fibre (e.g. Crabyon®). 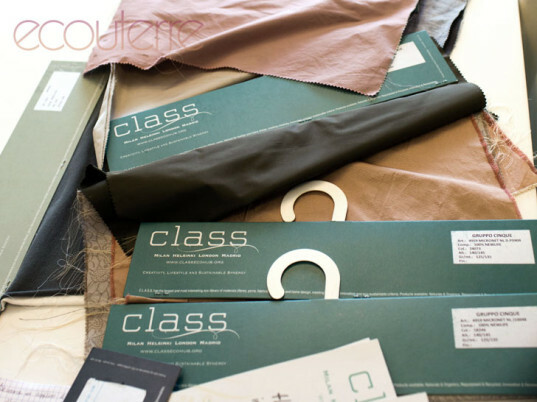 As an Italian company, a number of the textile companies C.L.A.S.S. represents are based in Italy. Historically leaders in textile innovation, Bettoni says Italian producers are adding the element of responsibility into their work with wonderful results. A personal favorite is Euromagia, a family company based in Prato that specializes in knitwear and natural fabrics, from gorgeous silk chiffons to knitwear made from recycled denim. Another of their Italian companies doing exciting work is Cardato Regenerated, which is recycling wool. Bettoni and her team are currently working on expanding their services globally, both in expanding the locations of their textile library as well as providing education around sustainable fashion. This involves a number of exciting collaborations in addition to the designers and clothing companies they work with. For one, they have provided ongoing support to Livia Firth’s Green Carpet Challenge in the textile arena, helping to create the “Green Carpet Challenge Fabric Library”. This September, C.L.A.S.S. began collaborating with Premier Vision, the world’s leading fabric trade show. In addition to presenting their materials library at the most recent Premier Vision in Paris, they helped organize a public roundtable discussion dedicated to the theme of responsible textile production. At the end of October, they’ll be at Premiere Vision in Shanghai. Also this month, they are off to Tokyo to participate in an event at the prestigious Bunka Fashion College where their work will serve as example to show that you can get beauty, innovation, and responsibility in the same fabric to a Japanese audience that is beginning to place market value on sustainability. For Bettoni, the most exciting thing in the industry right now is that people are finally learning to ask the right questions, “What is it? Where is it coming from?” Simple words she says, but so important to get the ball rolling at all levels. For fashion designers and companies that want to be more environmentally responsible, Bettoni recommends letting go of boundaries and limitations in regards to creativity and development. Although it will take time for the sustainable textile industry to grow, most designers would be surprised to see how much has already been achieved yet not fully utilized due to lack of information. Research and creativity need to be the core of a designer’s work.